Chris Williams is an Australian composer and conductor whose works have been performed throughout Australia, Europe, Britain and the United States by orchestras and ensembles including Melbourne Symphony Orchestra, Tasmanian Symphony Orchestra, London Musical Theatre Orchestra, Joyful Company of Singers, The Song Company, The Australian Voices, Cavaleri Quartet, Schola Cantorum, and Manchester Chamber Choir. Chris holds a Masters in Composition from the University of Oxford and is a graduate of the Sydney Conservatorium of Music. Chris was one of only six composers worldwide to be selected by Sir Peter Maxwell Davies to attend his Advanced Composition course at the Dartington International Summer School. His composition teachers have included Sir Peter Maxwell Davies, Nigel Butterley, Kaija Saariaho, Robert Saxton, Elliott Gyger and Michael Smetanin. Career highlights include commission by New York’s Carnegie Hall where his work SAN-SHIH-FAN premiered to critical acclaim; and being awarded the Blake Society’s Tithe Grant for composition. This international prize culminated in the premiere of Chris’ A GOLDEN STRING at St James Piccadilly conducted by Aidan Oliver. 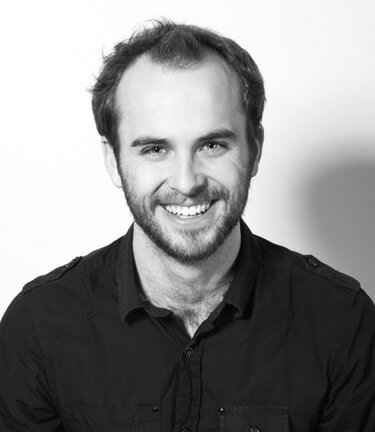 For theatre, Chris’ music includes scores for DOLL’S HOUSE, PART 2 directed by Sarah Goodes (Melbourne Theatre Company), CLOUD NINE and A MIDSUMMER NIGHT’S DREAM directed by Kip Williams (Sydney Theatre Company); FASCINATION (Miniaturists 50 at the Arcola Theatre); THE COLD CLEAR ELSEWHERE (Edinburgh Fringe Festival); HARVEST (Gettysburg College, USA); THE MERCHANT OF VENICE (Buskins, Worcester College Oxford); ORPHANS, EIGHT and LOVE’S LABOURS LOST (Rough-Hewn). Chris won the compositional prize at the Australian International Chopin Competition. He received a Sydney Theatre Award nomination for Best Original Score of a Mainstage Production for his work on CLOUD NINE for Sydney Theatre Company. His work GROWTH IS FORM was performed for Gaudeamus Muziekweek in the Netherlands in 2017 and the following year, the festival performed an extended version of the same work. Chris’ collaboration with Tasmanian Symphony Orchestra CONVICT MONOLOGUES premiered in 2017 and was performed again by the orchestra in 2018. Chris was an invited composer at the Takefu International Music Festival in Japan and Gaudeamus Muziekweek in the Netherlands. Chris’ work OF SILENCE INTO SILENCE was premiered by Nicole Thompson and Brad Gill as part of the Judith Wright Project. At the same event, Chris conducted the premiere of Gill’s PATTERNS, recorded by the ABC. Chris featured as an emerging artist with both Speak Percussion and Halcyon and won the Youth Award in the Jean Bogan Memorial Prize for Piano Composition. He was selected for the Tenso Young Composers’ Workshop held in Sweden, where his music was workshopped by Eric Ericsons Kammarkör under the guidance of James Wood. He is the winner of the Joyful Company of Singers’ Young Composer Prize. Chris has held positions as Compositional Techniques and Harmony Tutor at University of Oxford Music Faculty; Composer-in-residence with The Australian Voices; Creative Arts Fellow at National Library of Australia; and Music Librarian at the Central Music Library of the BBC. He is an Associate Artist at the Australian Music Centre. Chris is currently based in London.